The Masquerade Crew Basic Promotional Package: Worth it? I recently signed up for the basic promotional package with 500 tweets from The Masquerade Crew. 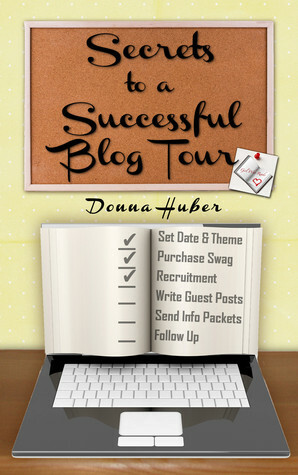 This was my first experience using a paid promotion for my ebook Secrets to a Successful Blog Tour. Every author swears by BookBub promotion and eReader News Today (ENT). Because these sites are very popular and have proven to get book sold, it has become more difficult to get accepted by them. My ebook, at approximately 60 pages, does not meet their page length criteria. My ebook has been out for a little more than 7 months and has done well. Early sales were fueled by word of mouth promotion. I did my own tour a couple of months after it was out, which boosted sales. I'm still selling several books a month, but I wanted to get my name out there more. But how to reach my audience? My niche is pretty limited, though the audience is growing daily. It is mainly authors, though publicists, small publishers, and bloggers thinking of organizing tours would benefit from the book. How many authors are signed up to receive notifications from sites like BookBub and ENT? The non-fiction category is pretty broad, yet it is usually among the categories least subscribed to. I'm kind of glad my ebook doesn't meet their criteria so I don't have to agonize over whether to submit my book to them. But like a lot of authors, where would I get a deal and a lot of exposure? I had been looking around when I saw the post from The Masquerade Crew about their promotional packages. I'm in a tribe with him and know he has a pretty big audience. I also know that the blog is followed by a number of authors. For $20, I went for it. I did not know when the promo post would go up. So it was a total surprise when I saw it come across Twitter on the evening of January 30. But if I had missed it then, I didn't have to worry about not seeing it. By Friday morning, the members in The Masquerade Crews tribes had started tweeting it. Every 15 or 20 minutes someone was tweeting it. Also I noticed many authors - yay! my target audience was being reached. By the time that the tweets from Triberr started slowing down, the first wave of tweets as part of the 500 purchased started. The Masquerade Crew operates 4 or 5 Twitter accounts. With them all tweeting there was a constant stream and most of them were being retweeted. But what you really want to know: Was the promo successful? On Friday, I saw my first sales. By Saturday, I was on the bestseller lists in reference and advertising. I stayed on those lists for 5 days. Between February 1 and 3, I sold my monthly average of books. During this time Amazon had my ebook discounted by 25%. On Tuesday the discount was over and my book was at $3.99. I worried that the bubble had popped. Buy no, I actually doubled my sales that day. I also sold some ebooks at Amazon UK, making the bestselling lists there for 2 days. In addition to books sold, I picked up two new reviews. There was a break in the tweets for a couple of days, but then a second round came out. I didn't find this second round to be as effective. I didn't make any sales, but the tweets were still seeing some retweets so my name was still getting out there. I should mention that I didn't rely just on The Masquerade Crew for promotion. Just as those chosen for Book Bub and ENT, I let my network know when the promo was live. One Facebook group I'm in has a thread for people to post their promos and get help sharing them. Apparently a number of authors in that group did no realize I wrote how-to books for authors. So a few of them picked up book. Also on Friday, two unrelated events happened. The PR group HARO tweeted my marketing plan post to their 80,000+ followers. And in another Facebook group of authors, a member recommended my ebook. 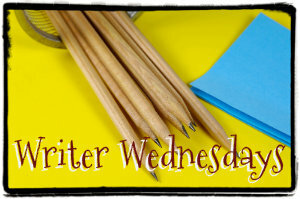 I also had an interview on author Jennifer Loiske's blog scheduled for Monday. I'm sure these extra mentions helped. The best part of the promotion is that it gave me something to talk about. One Facebook group I'm in no promotion is allowed. Yet, I could share my good news, which then lead to authors in that group to search my name on Amazon to find the best selling advertising reference ebook. I also had stuff to tweet about that wasn't just "buy my book". I shared my rankings, retweeted The Masquerade Crew's tweets, and let everyone know about this awesome review. I think it was the combination of all of these things that made the promo so successful. If you are looking for an affordable promotional package, the one from The Masquerade Crew was definitely worth it. Girl Who Reads is an Amazon advertising affiliate; a small fee is earned when purchases are made through the links above. Jonathan Gould: What's Next for Neville?